Alba curled her fingers around the clay jar, carefully keeping it close to her chest lest she spill it. This was an important sacrifice to Bacchus, the God of wine and fertility. She had tried several times to bear a child and both times the babe died in her womb. It had become increasingly important she have a child for her husband, Basilius. He was demanding a healthy child. She must not disappoint. 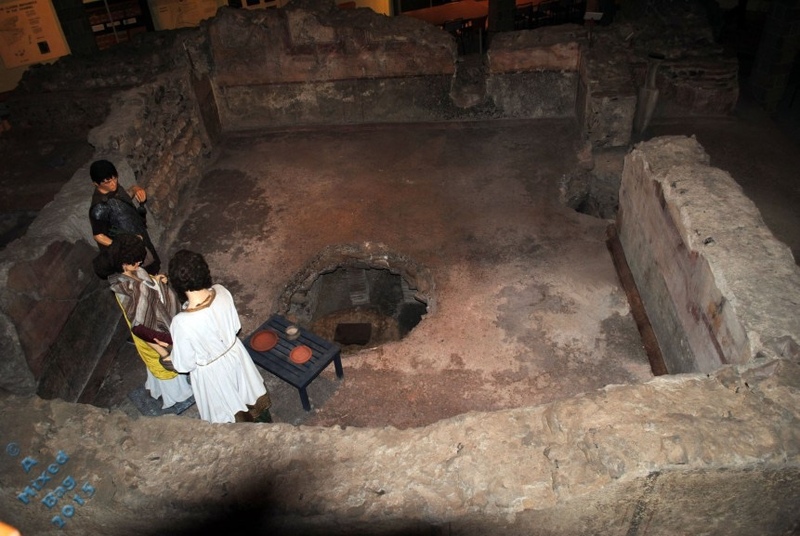 She ran into the Bacchus’s chambers setting her wine on the sacrificial table, hoping that Bacchus, would be pleased. Tonight, she would sleep with her husband and her womb will accept his seed of fertility for safe keeping. Surely, Bacchus, would see to the child’s healthy birth in nine months. She closed her eyes and prayed, “Please, highly favored God, Bacchus, this must work. Please, this must work.” Alba dropped to her knees with hope and despair. Thank you to Alistair Forbes for providing our photo prompt and hosting the challenge for Sunday Photo Fiction. He provides the photo prompt and approximately 150 words with which we are to build our stories. Everyone is invited to participate, if you are interested, click on the link below. To connect with the challenge post, click here. Great story Joy. I hope it works. I see an expanded story from this. Well done! How very awful to be expected to have a baby as if a woman has much control over why she cannot. I think it’s his fault. maybe he’s shooting blanks lol. LOL! You crack me up. She had several pregnancies but the babies died in her womb. Yes, I agree! But that was how men were many many years ago.